Tuesday, April 23, 2019 from 8 to 10 a.m.
SOLD OUT! NO WALK-INS ACCEPTED.  Please plan to join Macomb County Executive Mark A. Hackel and the Macomb County Department of Planning & Economic Development to honor outstanding businesses at the annual Macomb Business Awards. Fox 2 Detroit's Huel Perkins and Charlie Langton will emcee. This year's keynote speaker is Mark Ostach. Ostach is an expert on improving digital health and wellness. During his keynote address, he’ll help attendees defeat distractions and interruptions in order to become purposely connected to their work and the people around them. Trailblazer of Future Talent – creating partnerships that provide opportunities for the next generation of our workforce to explore and experience career possibilities. Corporate Citizen – providing meaningful support to our community through service and/or philanthropy. Champion of Work/Life Integration – offering innovative benefits that enable employees to balance work responsibilities with personal passions (Sponsored by Metro Parent magazine). Hidden Gem – uncovering a unique Made-in-Macomb product or place that more people should know about! Manufacturer of the Year – in recognition of a manufacturer of any size that is achieving success through its efforts to diversify its customer base, retain employees and/or implement new technologies or efficiencies.